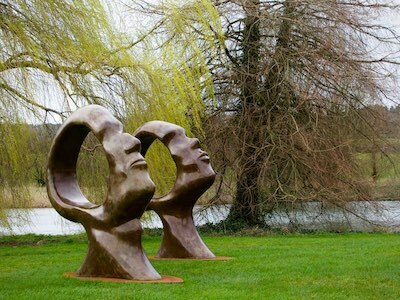 Sculpture by the Lakes, near Dorchester, Dorset, provides a vibrant and peaceful park setting for this creative writing course. Through a series of discussions and exercises, writers will learn how to use sculptures and other art to stimulate ideas for stories, characters, situations and poems. During the day, course attendees will write a number of pieces and be given advice on how they might be extended or improved. This course is suitable for art and nature lovers, and for anyone interested in using art as a source of inspiration. Whether you are at the start of your writing journey or further along and seeking ideas on how to expand and improve your prose or poetry, you will feel relaxed and invigorated to write. There is no need to prepare anything in advance, just come along with pen and notebook or laptop, if you prefer. £100 including - Lunch, tea and coffee, please advise regarding dietary requirements when booking.